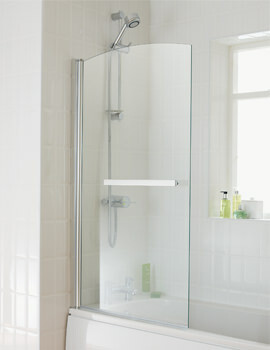 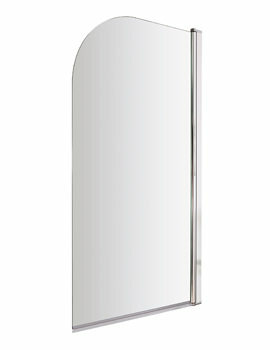 Merlyn Hinged Square Bath Screen 850 x 1500mm. 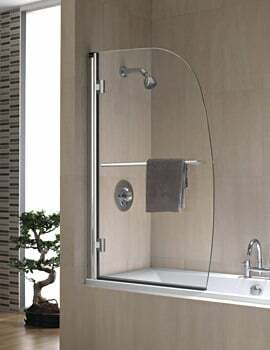 Mershield glass protects and prevents the glass from soap depositing and formation of lime scale on its surface, which makes the shower glass easy-to-clean; further, it eliminates the need to clean the glass, keeping it shiny for long. 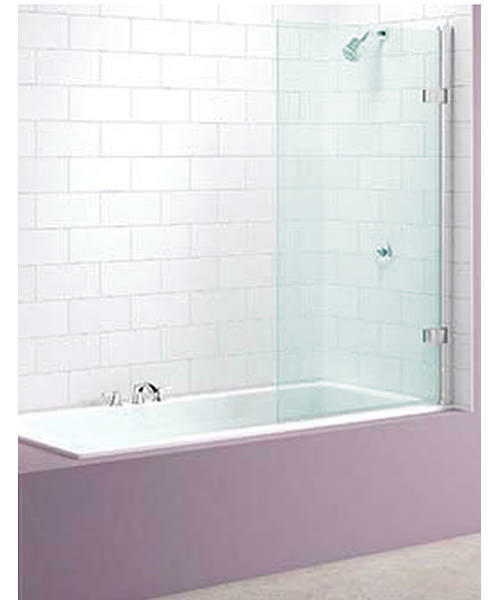 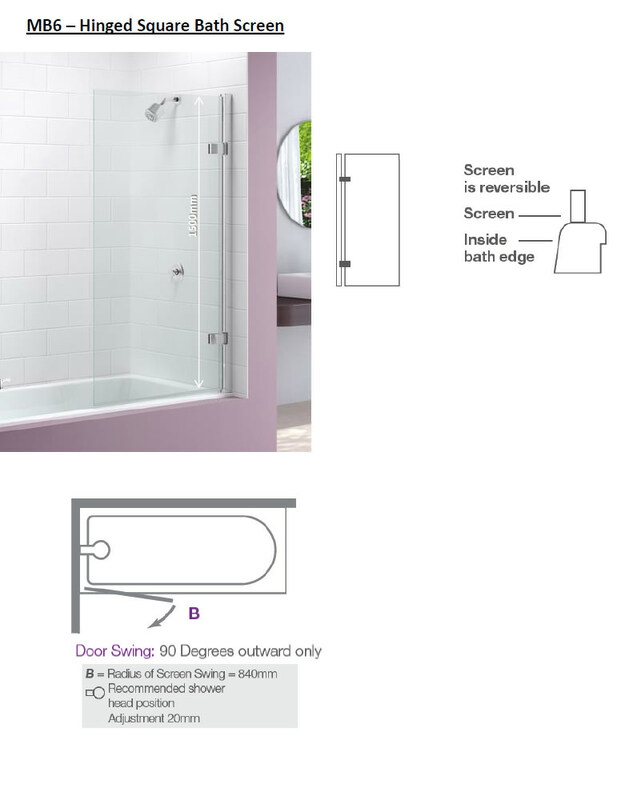 Please Note : Bathscreens are not designed to fit on baths with stepped fronts, roll top rims or integral soap dishes. 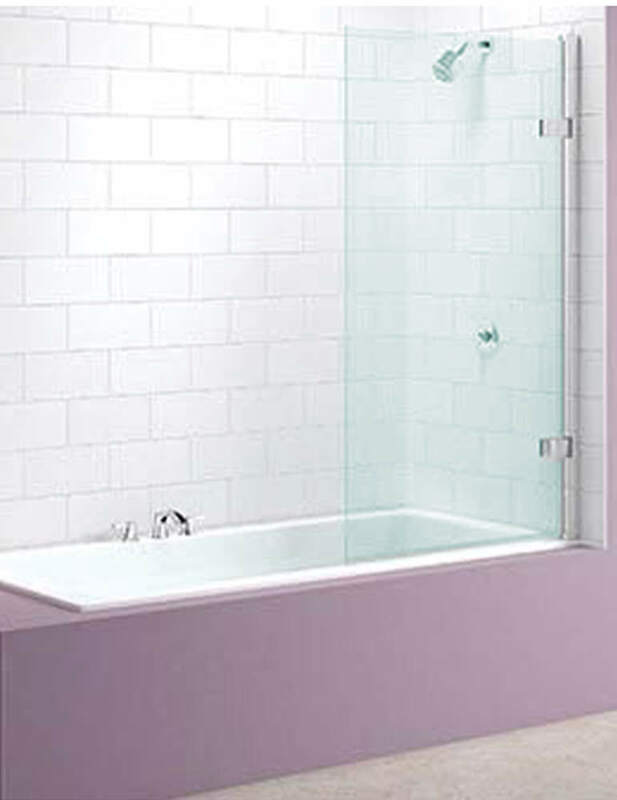 Fitting of bathscreens on baths which have a raised head or shape is not recommended. 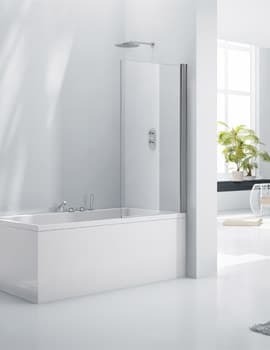 Bathscreen must not be impaired by bath handles. 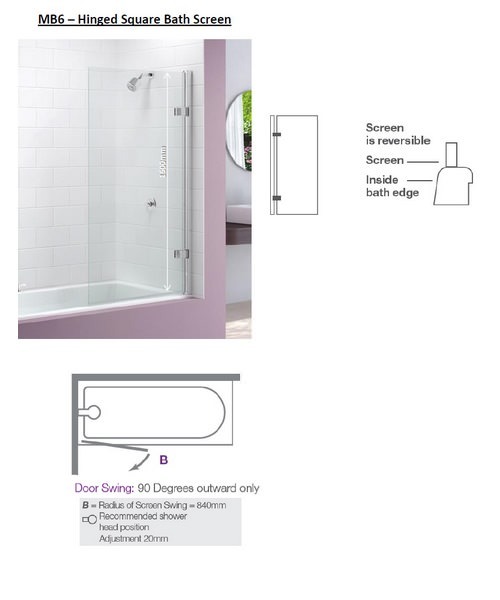 Not suitable for power showers.